Confirmation for 7th and 8th graders at Christ Church strives to give the young people all of the spiritual tools and perspective they need to develop a strong mature faith. At the end of the two-year curriculum, young people who have attended class and church faithfully and who have completed their work may, if they wish, be confirmed. Confirmation should be a mature reaffirmation of Baptismal promises, made by a person who truly wishes to commit herself or himself to the belief and practice of the Christian faith. We therefore make a point of telling the students in our class that Confirmation is not demanded of them and is not automatic at the end of the two years. They will decide what is best for them, in consultation with their parents and with the clergy. The seventh grade is taught by Mother Brown and the eighth grade is taught by Father Bird and Elis Lui, our Youth Minister. The seventh grade will engage in an in-depth exploration of scripture. We all believe that the Bible contains revealed truth, but none of us understands completely what that truth is, and none of us is without doubts about some of what we find in the text. The eighth grade will study the sacraments of the church - Baptism, Eucharist, Confirmation, Reconciliation, Unction, Marriage and Ordination - the outward and visible signs of inward and spiritual grace where God promises to meet us on our journey of faith and life and love. This class will also investigate the choices we make in life, and how those choices affect others. How do faith and action inform each other? How do we live into and understand fully what it means to be a Christian? During their time together the students will be encouraged and taught to share statements of faith as well as questions and expressions of doubt, skepticism and dismay. These classes offer a safe place where our young people can explore the concept and meaning of God in our church and in their own lives. As an integral part of our program, all confirmands must participate in service to Christ Church and to the larger community. This allows us to put what we teach into action and allows us time with the kids beyond Wednesday nights. 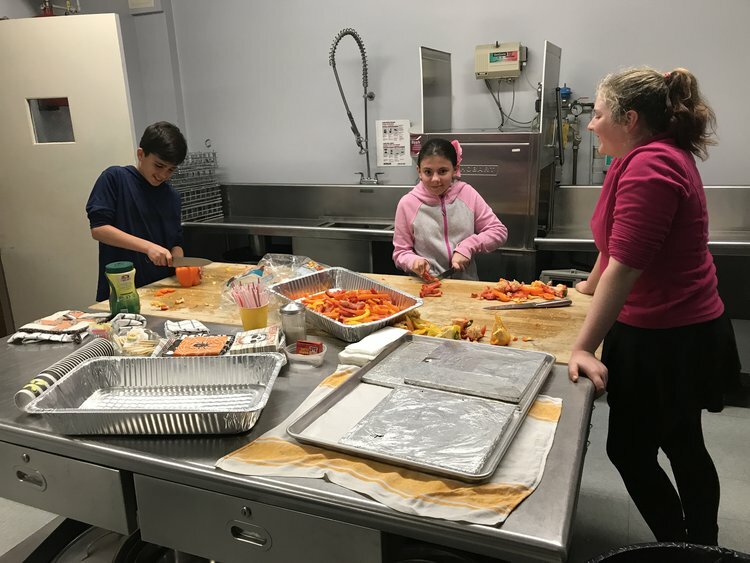 Youth serve as taperers in Holy Eucharist, assist with Church School on Sunday Mornings, and gather together for a variety of opportunities to serve the wider community. If you’re interested in joining, please contact Elis Lui at elui@ccbny.org. The EYC is our high school community, and consists of young people from many different schools and churches. We worship, sing, play, serve others, discuss our faith, share personal stories, and constantly look for new ways to practice our Christian mission. We also eat - a lot. Regular meetings are Monday evenings from 6:30 PM to 8:00 PM in Taylor Hall, with dinner provided. In addition to these weekly meetings, the EYC participates in monthly service projects, trips to New York City, small group dinners, overnight retreats, and more. Furthermore, our year is anchored by two significant pilgrimages. The first is to the Monastery at Taizé in February for prayer, reflection, reconciliation and personal growth. The second is a cultural and mission-oriented trip, this year to the Diocese of Puerto Rico, where we work with the local community (including local youth groups and churches) as they strive to make a difference in the world. This verse centers our year on grace. Every day we are the recipients of God’s unmitigated goodness and love. God’s grace is given unconditionally, regardless of our actions. Are we able to open our hearts and minds to accept the grace that Christ offers to us? Where in our lives can we identify grace at work? How can we use God’s grace as a guide in our current relationships and interactions with the world? Check out the EYC Rule of Life, written by and for our high school kids!